As winter comes to London, journalist Mia Walker is desperately hoping for her big break as a travel writer, dreaming of exotic locations and sun-soaked beaches. 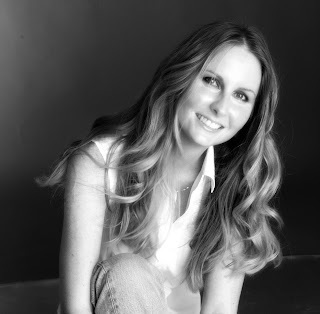 When she’s invited to write a romantic travel piece that ends in a huge winter wedding in Scotland, she jumps at the chance. The only trouble is, the photographer is renowned adventure-junkie Hunter Scott, who Mia last saw five years ago when she ended their engagement. 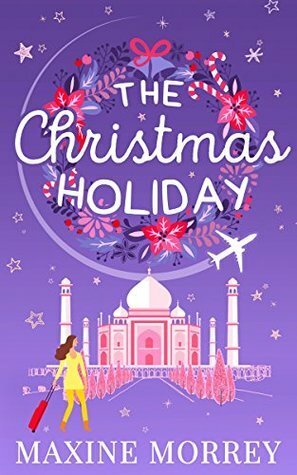 Having written two previous Christmas novels, with this one, I wanted to do something a little bit different and when I came up with the idea of involving travel in the story, I knew I had to include India. For as long as I can remember, I’ve had an absolute fascination with India although I have no idea where it came from. None of my family had ever been, or spoken about it but I can’t remember a time when I didn’t feel captivated by it – the history, the landscape, the colour – all of it. When I first got the opportunity to visit, it was like a dream come true. I know that phrase has been overused but this really was. The moment I got there, it was just amazing. The country’s tourism strapline is Incredible India and it is certainly most apt. It was everything I had thought it might be and so much more. The colour and the noise assaults your senses the moment you step out of the airport terminal and it’s hard to know which way to look! India is definitely a land of contrasts in a lot of ways. One of the most obvious is in its wealth – something that has only become even more noticeable over the years. People who have nothing but the clothes they sleep in on the pavement are passed by the newly wealthy, driving by in their Ferraris and Lamborghinis. Shanty towns sit higgeldy piggeldy as towering skyscrapers glint in the hot, Indian sun. It’s not easy to ignore, and shouldn’t be. The weather is also a contrast – the scorching sun of the cities even right into the Autumn can be tiring but travelling up into the foothills of the Himalayas, the air cools deliciously. Walking down a shaded road, through the light dappled canopy of trees, only the monkeys eyeing us curiously give a clue that we are in exotic climes. There is hardship in India, but there is also joy. There is curiosity. There are smiles. There is love and respect for family. There is beauty – both in the people and in the stunning architecture. There are so many more places I’d love to visit out there. It’s a country that never runs out of offerings. I hope I get the chance to visit again – but in the meantime, take a trip back there with Mia and Hunter in The Christmas Holiday. I hope you enjoy your stay! 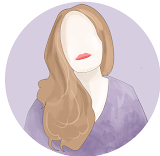 Author bio: Maxine has wanted to be a writer for as long as she can remember and wrote her first (very short) book for school when she was ten. Coming in first, she won a handful of book tokens - perfect for a bookworm!